Personally, I really only used the crop/rotate tool and occasionally used the filter effects. I found the Auto Enhance option to be mostly useless. But with iOS8, users gain a full range of image editing tools. To access these tools, click the “Edit” button from any photo. Then click the “knob” icon located at the bottom of the screen. The Light controls adjust image tone and brightness. 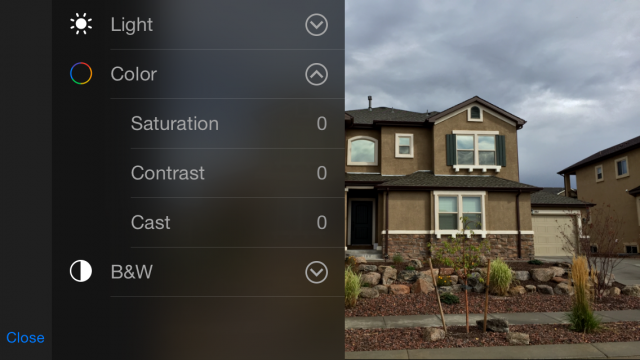 The Color controls let you fine tune saturation and temperature. Black and White: Black and white conversions with controls for intensity, neutrals, tone (contrast) and grain (film grain effect). 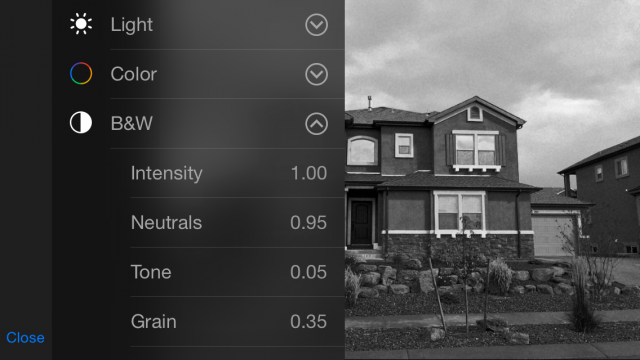 Use the black and white tools to create monochrome images. Each of these controls starts with a universal slider (the topmost control) that adjusts all the sub-controls simultaneously. Or, just adjust each sub control individually. The crop tool in iOS8 now offers an automatic straighten tool. When you open the crop tool, this adjustment is applied automatically. Click the “reset” button if you want to manually straighten the image. 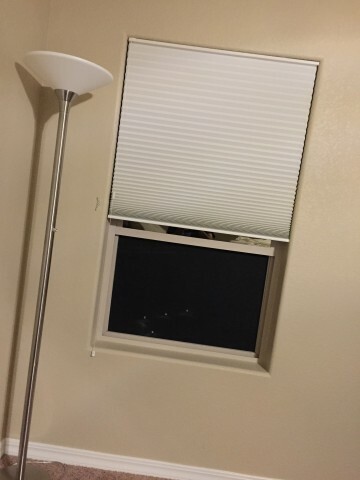 Crooked images can now be automatically straightened in iOS8. 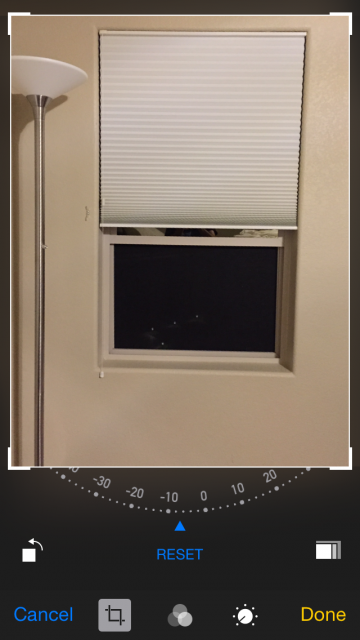 The crop tool in iOS8 now performs automatic straightening. Having these controls directly in the native photos app is a nice addition to iOS8, and they work in the older phones, too. I didn’t usually use the iOS photo editing tools in the past, because they were quite limiting. Now that I’m on iOS8, I’ll be using the on-board photo editor a lot more! is there a way to still use the auto enhance or whatever on ios8??? Yes, it’s at the upper right corner when editing. The magic wand icon.